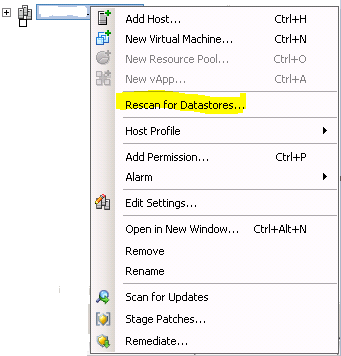 "The object or item referred to could not be found"
Under tasks its showing as unregistering and then reregistering the VM (this task failed at 15%). This was first time when I faced this issue so was amazed. Then I started looking about this error over web and luckily I found VMware KB# 2047271 which is related to the error that I was getting. 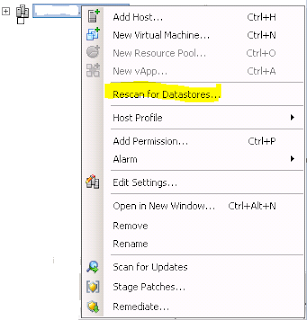 Once the datastore rescan will complete, you will be able to poweron the VM.